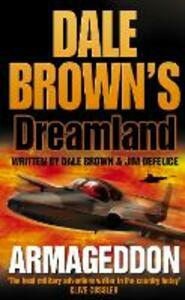 The sixth in the series of high-tech thrillers centred on Dreamland - a top-secret USAF weapons research centre - from the acclaimed author of Flight of the Old Dog and Air Battle Force. Whilst relaxing on the beach in Brunei as guests of the Sultan, Dreamland's Breanna and Zen are shot at, and forced to take cover in the water by unknown assailants. Dreamland are training the Sultan's air force, instructing them on the newest and best aviation technology. But there are those not happy with this alliance. Suddenly Brunei is under attack from terrorists, and someone somewhere is getting ready for the ultimate revenge.